Over the summer, Gov. Roy Cooper signed a new expungement law that will make it easier for people to have their criminal record expunged if they have been convicted of and served time for nonviolent crimes and have proven they can stay out of trouble with the law. Expungement is a process that essentially seals or “erases” the conviction from public record. When an arrest or criminal conviction is expunged from a person’s record, they no longer have to disclose that information on an application for a job, apartment, or higher education. Allow the State to treat a conviction expunged on or after December 1, 2017, as a prior record if the person re-offends. 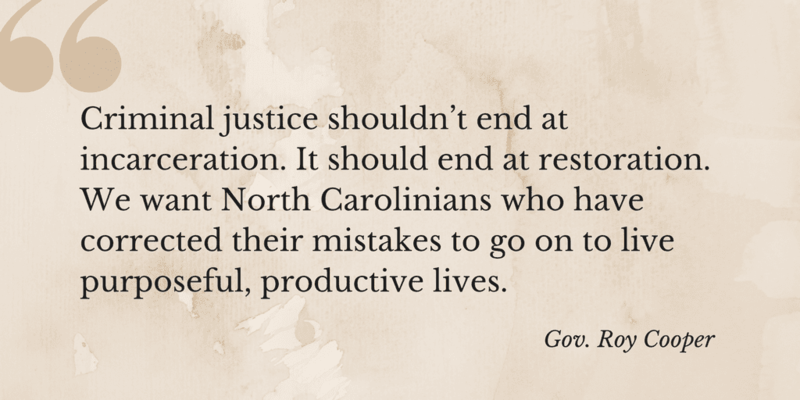 In North Carolina, dismissal of charges and expungement are not the same thing. A dismissed charge will remain on your record indefinitely, and anyone running a background check on your criminal record will be able to see the charge. Usually, a dismissed charge on your record will say “dismissal without leave,” meaning your case has been dismissed and the State cannot reopen it for further litigation. As soon as your charge has been dismissed, you are eligible to have it expunged. However, whether or not the charge will be expunged depends on the severity of the crime. As stated above, the new expungement law only makes it easier for nonviolent crimes to be sealed. DWI convictions in North Carolina are not considered nonviolent and are not eligible for expungement. If you have been charged with a crime or DWI in North Carolina, you need the best team possible on your side. Contact our team of experienced criminal defense and DWI attorneys as soon as possible to set up your consultation.